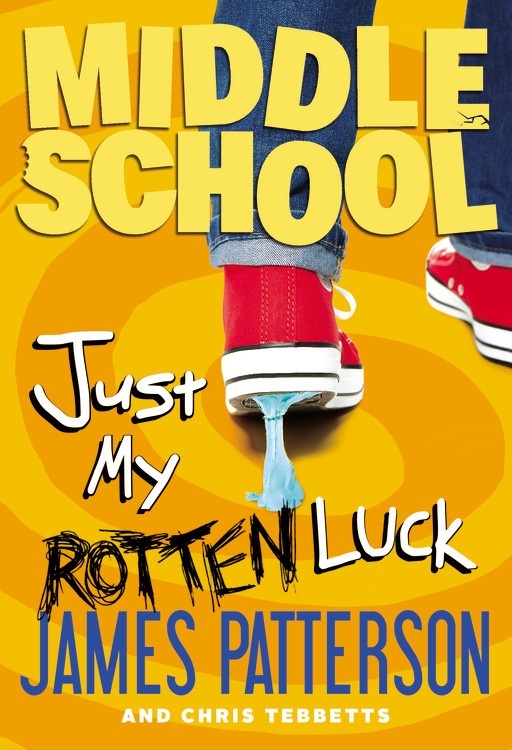 I was reluctant to read MIDDLE SCHOOL: JUST MY ROTTEN LUCK for no good reason (okay, maybe just jealous that Patterson is writing MG). When my son read it and laughed non-stop, I had to see what the fuss was about. The MC, Rafe, heads back to Hill Village Middle School and is forced to take “special” classes. In an attempt to forgo any ridicule and bullying, Rafe decides to join the flag football team. Of course is just the start of his hilarious misadventures. Reading this book brought me back to those tough years in middle school, where everybody is trying to figure out where they belong and being different isn’t always treated with kindness. I felt for Rafe and his desire to make seventh grade better than sixth, but laughter won out as he stumbled along. I highly recommend this book, and the series. It is funny, entertaining, and a fast read. It’s perfect for those in middle school now and for us who survived it.